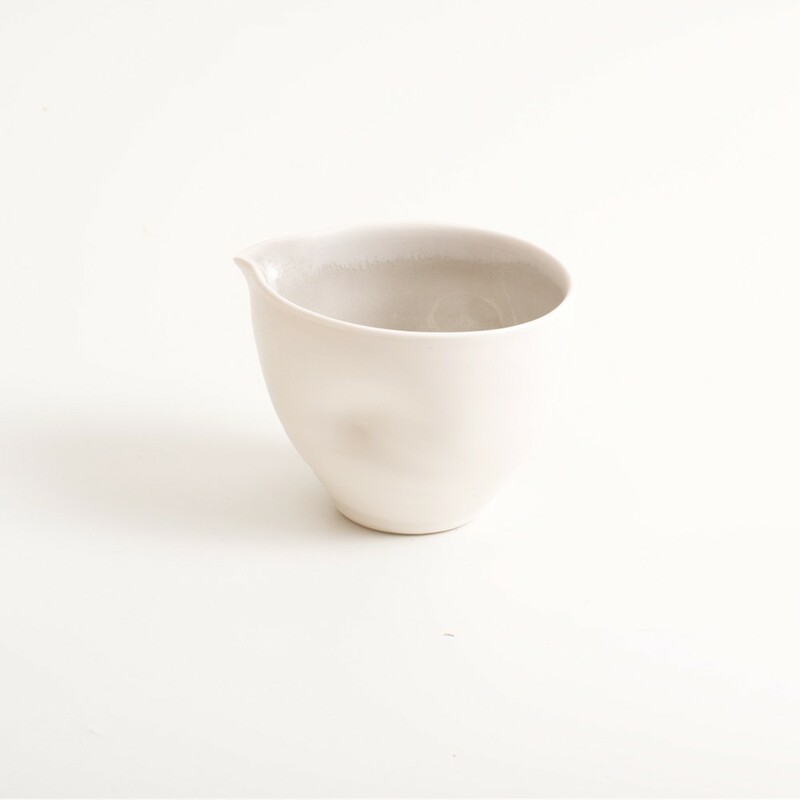 Handmade porcelain pouring bowl with tactile dimples, in a choice of small or medium size. Available in four colours: pale blue, turquoise, pink or grey. Handmade pouring pottery bowl in porcelain, with tactile dimples that are a pleasure to hold and work with. Linda makes this bowl for you on her potter’s wheel in London. Inside you’ll see her delicate signature coloured glaze. Linda has created a unique recipe for these glazes, that bring our thoughts to aquamarine, citrine, rose quartz and smokey quartz. The pouring bowl has handle like dimples created in the clay, while it’s still soft. You can order the in two sizes and four colours: pale blue, turquoise, pink or grey. The outside of each has a satin matt glaze. 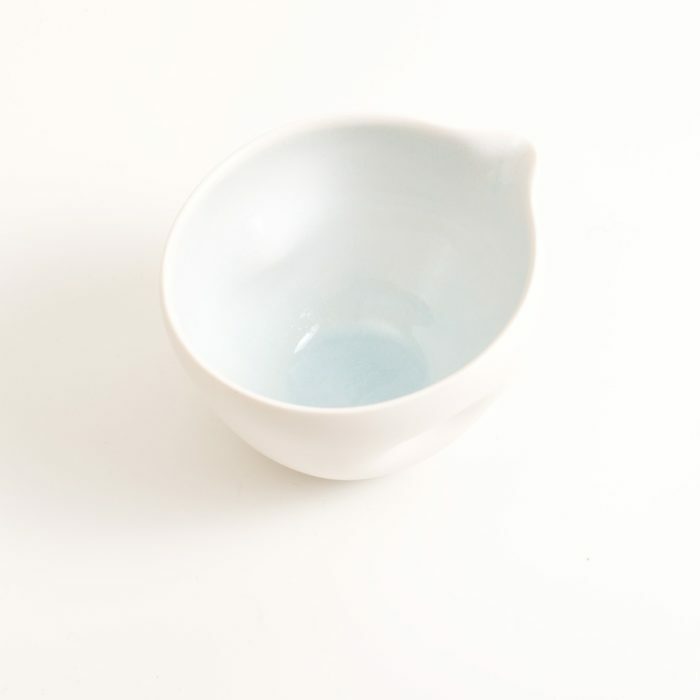 The small pouring bowl has two dimples and the medium size has one dimple. 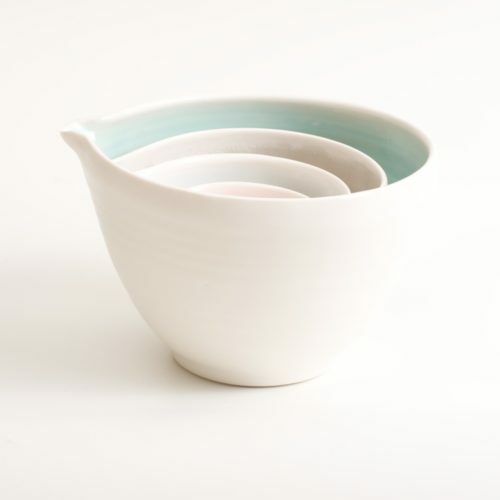 The small bowl is ideal for cream or condiments. The medium size can be used for cooking and whipping, such as preparing your favourite pancake batter. If you like this pouring handmade pottery bowl, you might also like the nesting version with three or four pouring bowls. The whole collection is complimentary in colour and form. 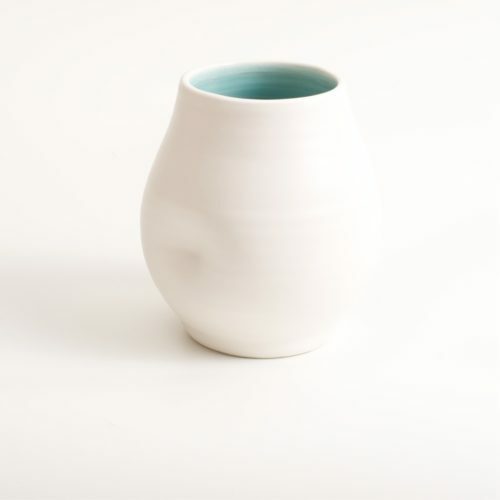 See all of Linda Bloomfield’s tactile porcelain here.